Ekin Dericioğlu Kurt, one of the board members of Ankara Patent Bureau, graduated from Bilkent University’s Faculty of Economics and Administrative Sciences international relations department in 1997. She is an active chartered patent and trademark attorney in Turkey with almost 20 years of experience and has been a European patent attorney since 2000. Ms Dericioğlu Kurt has an active mission to strengthen IP practices and represents Ankara Patent Bureau and Turkey within leading national and international IP organisations, such as the International Trademark Association (INTA), the International Association for the Protection of Intellectual Property (AIPPI), the Asian Patent Attorneys Association, the European Communities Trademark Association and MARQUES. Ms Dericioğlu Kurt also plays an active international role in non-governmental organisations. She is a member of the AIPPI International Venue Selection Committee and also a member of various INTA committees successively and consecutively. She is one of the founding members of AIPPI Turkey and served as secretary of the Turkish group for six years. 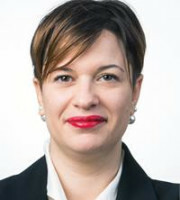 Ms Dericioğlu Kurt has significant certificates from both international seminar companies and sectorial organisations such as the World Intellectual Property Organisation (WIPO) Worldwide Academy, the WIPO e-commerce and IP rights subsidiaries and the European Patent Office International Academy. She is fluent in English and is studying Spanish as a second foreign language.